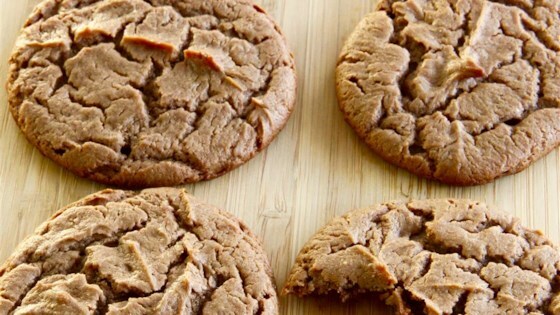 "No flour, no refined sugar, protein-packed cookies!" Beat cream cheese, peanut butter, chocolate-hazelnut spread, agave syrup, honey, egg, vanilla extract, baking soda, and sea salt together in a bowl until dough is combined. Drop dough by the tablespoonful onto prepared baking sheet. Bake in the preheated oven until set, about 12 minutes. Cool on baking sheet for 3 minutes before transferring to a wire rack to cool completely. The flavor is amazing, but the cookies are limp. I did put them in a toaster oven on 350 degrees for 30 seconds. After cooling, they had a little crunch to them, which I liked.